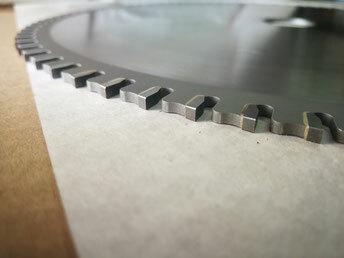 Tct circular saw blades for dry cutting steel, ferrous materials and sandwich panels with corrugated steel. Not suitable for cutting stainless steel. Suitable both for typical dry-cuttingmachines and also for portable saws.